A new range of exquisite jewellery from Mats Jonasson Maleras in Sweden. 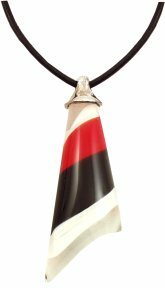 Passion is hand crafted from crystal glass with striking black, white & hot red detail. A beautiful passionate piece of jewellery.